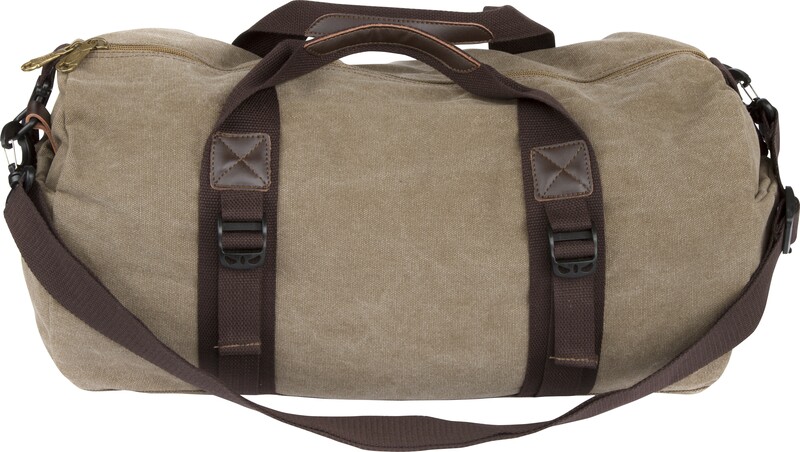 Made with heavyweight cotton canvas, these duffel bags are both practical and durable. With multiple pockets and contrasting straps, they are perfect for organization and style. • Polyester lined bottom • Removable/adjustable strap • External dimensions: 18.5" x 12" x 8.75"